Back in 1987, Pat Dunn, like a lot of people who wanted to respond to the AIDS crisis, used to get handed messages at work or come home to a voice on her answering machine saying “Clint Hockenberry called.” She knew those messages meant that someone had an urgent legal case and needed help immediately. Pat had graduated from law school at the University of California at Davis and moved to San Francisco the previous year. Everywhere around her, friends and colleagues were being diagnosed with AIDS, or were caring for lovers and friends who were sick, and she immersed herself in volunteering. She also joined the Volunteer Legal Services Program (VLSP) of the Bar Association of San Francisco, working as a directing attorney of their pro bono immigration project. When she realized that many of her clients were testing positive for HIV, she founded VLSP’s Immigrant HIV Assistance Project (IHAP), which later became a program of ALRP in 2003. Pat enjoyed direct service work, “but my volunteer work with ALRP and my work with the Immigrant HIV Assistance Project made me want to work more in the policy area to focus on changing laws,” she said. She left the Bar Association in 1992 and worked for several organizations, including the San Francisco Department of Public Health and the Gay and Lesbian Medical Association, until she formed her own consulting practice working on public policy, writing, planning, and fund development with health and social justice organizations. But her relationship with ALRP didn’t end. 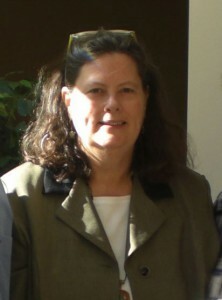 “When I stopped practicing law and was no longer a Panel attorney,” she said, “I wanted to stay connected and contribute in other ways.” Pat served on the ALRP Board from 2000–2003, and later worked as a paid consultant to help the agency explore changes in health care policy and government funding to strategically prepare for the future.